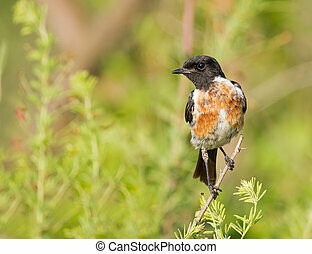 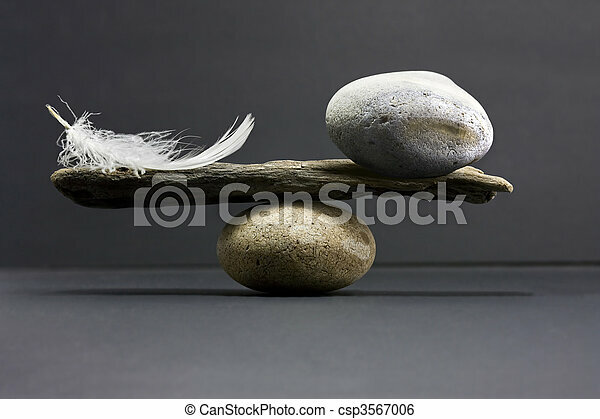 Feather and stone balance. 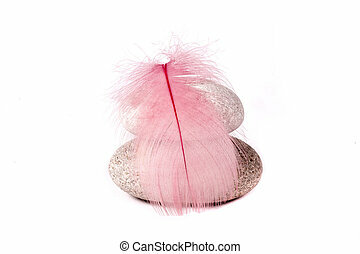 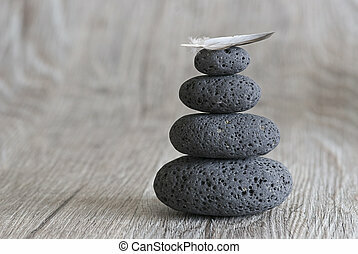 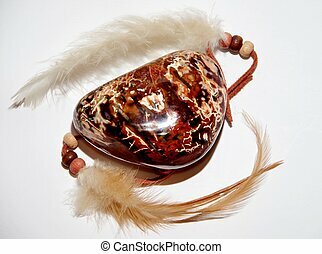 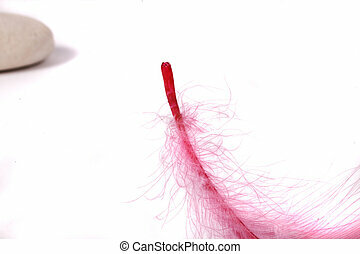 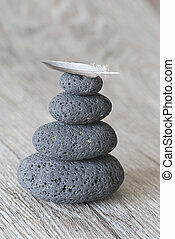 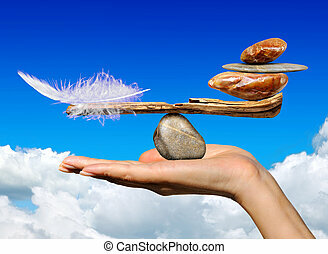 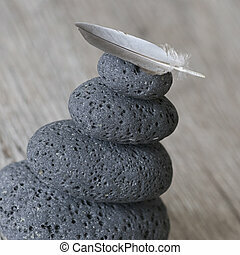 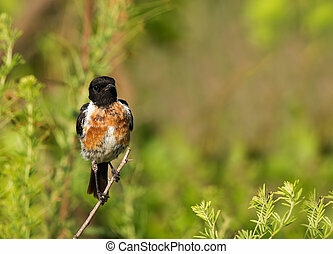 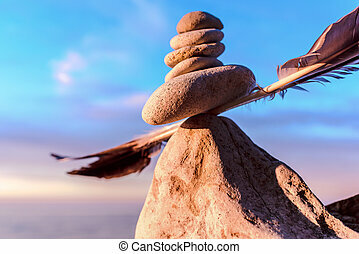 A feather and a stone equally balance. 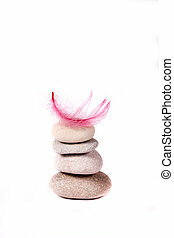 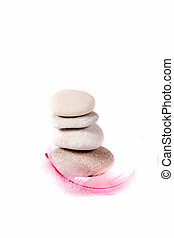 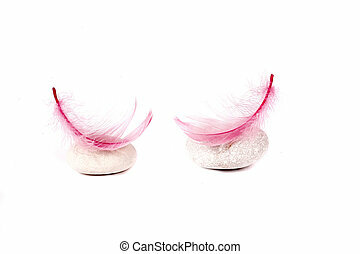 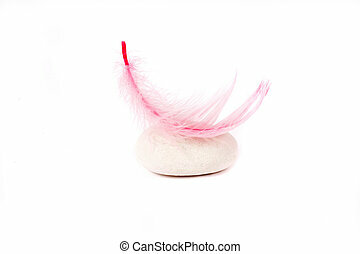 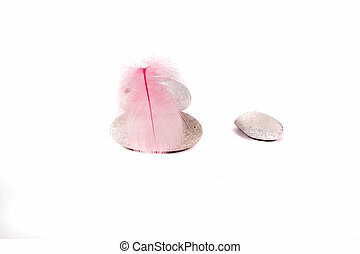 Feathers and stone with a white background.